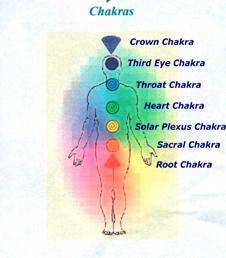 Energising the Chakras ensures holistic health. All aspects of our being are governed by the Chakras so when they are cleansed and energised we become more balanced and whole. Chakra meditation can be done by Reiki practioners with the inclusion of Reiki , for others as a breathing excercise. You can either sit or lie down comfortably,connect to Reiki, and start breathing deeply. As you breathe in visualise the breath going to the Crown Chakra first. You can visualise the breath in the colour of the Crown Chakra, which is violet. As you breathe in visualise the breath coming out through the Chakra and cleansing it. Then breathe out. Breathe into and out of each Chakra at least ten times. After you finish with all the seven Chakras, ending with the Root Chakra, you will feel completely rooted and energised. This can also be done for individual Chakras, for example, if you are feeling disconnected or physically drained, do the meditation for only the Root Chakra. Or if you feel you need more spirituality in your life concentrate on the Crown. Be guided by the aspects of the chakras. I am a Reiki teacher and student; still learning; sometimes from my students. I teach from my home in Dubai. The focus in my Usui and Karuna Reiki classes is to get people to discover their areas for healing and growth. To take responsibility for their thoughts, emotions and actions; ensuring deep and lasting healing. Do you use alternate Healing systems or medicines? No. don't believe they work. Want to but have'nt had the oppurtunity. Art from the heart. My daughter's blog. Story warehouse. My blog of fiction for children. Self is only Being -Not being this or that. Simple Being..BE and there is the end of ignorance.